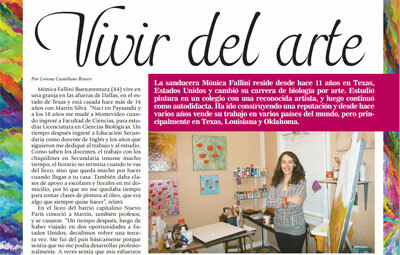 Monica Fallini has been exhibiting her work at art shows in Texas, Louisiana and Oklahoma since 2006. She was represented by galleries in Florida, Texas, Arkansas, USA and in her hometown Paysandu, Uruguay. In 2014, 2015 and 2016 she participated in 3 solo exhibitions and 1 group exhibition at the Dallas Public Library in the USA. 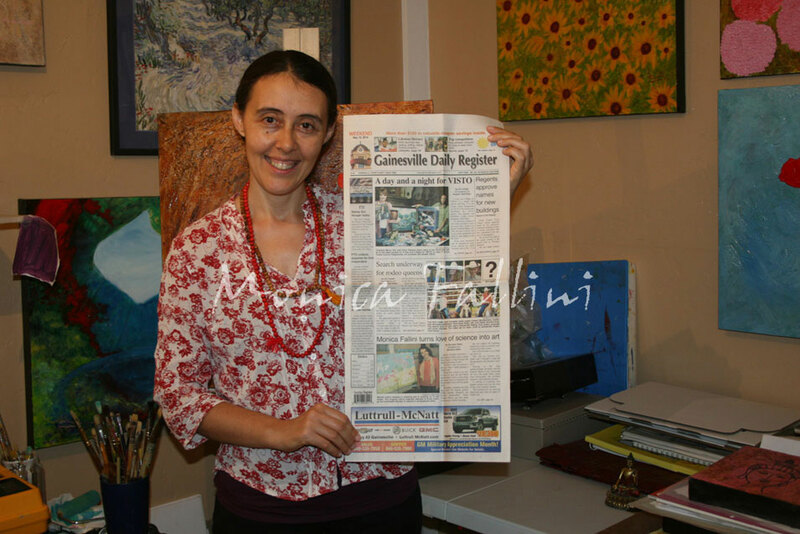 Her artwork is collected in the USA and abroad. Since early age, I was always amazed by nature and all living beings. I started painting in order to fulfill a long-time desire of painting with oils, something I always wanted to learn but never found the right moment to start. It was while living in Texas in 2004 that I had the opportunity of studying oil painting techniques in different courses, I also took drawing and photography lessons. I continued studying and doing research on different styles and techniques as self-taught until today. I have been painting professionally since year 2004. It is through the art of painting that I express my feelings, passions and emotions. I work on a loose and free style. I find inspiration in my memories of childhood years spent near Italian ancestors and their stories and nostalgia, and specially very attached to my grandmother that influenced me in my passion for nature and flowers in particular. Several pieces were inspired by dreams people shared with me or my own dreams. Being always surrounded by the Texan countryside has been a great environment to deepen this admiration of nature and it supported me to create the shapes, colors and compositions on my canvas. During these years I have created over 1,500 pieces of art, 60% of which are in private collections in the USA and in the following countries: Canada, United Kingdom, Spain, France, Russia, Australia, Venezuela, Uruguay, Japan, China , Mexico , Switzerland and Poland.